Dermabrasion, is an invasive procedure where our plastic and Cosmetic Surgery in Delhi will remove the outer layer of your skin with a special instrument to correct the depressed scar after acne or smallpox or injury. After the complete healing of treated area you will achieve the, smoother layer of skin to replace the uneven skin that’s been treated in South Delhi Cosmetic Clinic. 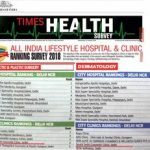 When Is Dermabrasion Cosmetic Procedure in Delhi, Used? Dermabrasion improve your acne scars, pox marks,and give you smoother, fresher and younger. skin. scars developed after accidents or disease can also be addressed by dermabrasion. This method does not give favorable results in burn scars. Is dermabrasion suitable for everyone? Dermabrasion can be done safely for people with fair skin. In people with darker skin colors, dermabrasion should be discouraged because it may results in unwanted scarring or discoloration ( hyperpigmentation ) of skin. 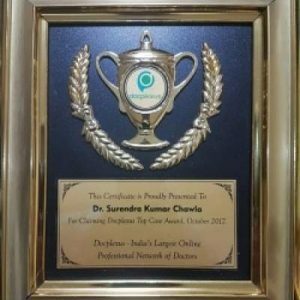 Your cosmetic doctor at South Delhi Cosmetic clinic will discuss you in detail about your problem and goals you want to achieve. He will also assess your skin and guide to achieve your. During consultation doctor will discuss about the procedure’s risks and benefits, and the type of anesthesia that will be used. You’ll be advised to use some medication to prepare your skin for dermabrasion. This will minimize the risk associated with dermabrasion.e’s risks and benefits, and the type of anesthesia that will be used. You’ll be advised to use some medication to prepare your skin for dermabrasion. This will minimize the risk associated with dermabrasion. South Delhi Cosmetic clinic doctor will take your “before” photos to compare with your results later. 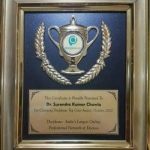 How is Dermabrasion Cosmetic Procedure in Delhi performed by prolific Cosmetic Surgeon in South Delhi Cosmetic Clinic? Dermabrasion is performed by our best Cosmetic Surgeon in Delhi in our clinic with all aseptic precaution.. You may get medication to relax you before the procedure starts. After cleaning your skin thoroughly, you’ll be given injection of numbing medicine to anesthetize the area to be treated. ic with all aseptic precaution.. You may get medication to relax you before the procedure starts. After cleaning your skin thoroughly, you’ll be given injection of numbing medicine to anesthetize the area to be treated. Dermabrasion is done by a special machine and diamond burrs. This Cosmetic procedures with diamond burr will remove the outer layers of your skin and improve any irregularities in your skin’s surface. New skin is initially pink but gradually develops normal color. In most cases, the pink or redness largely fades by six to eight weeks. You can use makeup as soon as the skin is healed. It will take seven to 14 days after dermabrasion to achieve your normal activity. You are advised to avoid sunlight for a few weeks after the pink color has gone away and use of broad-spectrum sunscreen is advised. Uneven changes in skin color (temporary or permanent). Darkening of the skin (usually temporary but may be permanent). This is caused by sun exposure in the days and months following the procedure.Strict follow up and aftercare help you minimize the complication and help you achieve the best result without any complication. We also offer the most affordable Cosmetic Surgery prices in Delhi for cost effective Dermabrasion and other Cosmetic procedures in Delhi. 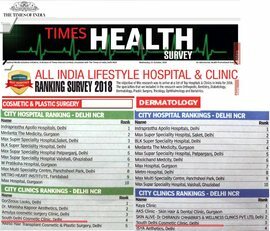 For further query and consultation with our doctor at South Delhi Cosmetic Clinic you can directly call us on 09811827580 / 8860906117 / 011-29227580.For further query and consultation with our doctor at South Delhi Cosmetic Clinic you can directly call us.